1968. “It was the best of times, it was the worst of times” is my immediate thought as I try to put that turbulent year into perspective, with apologies to Charles Dickens. There are countless books, articles, documentaries, podcasts, and more that chronicle that period of civil and social unrest. The assassinations of Martin Luther King Jr. and Robert F. Kennedy that year, riots in the streets, the Tet Offensive, racial divide, and the turmoil of the Democratic Convention were only some of the events that defined “the worst" for the nation and the world. But let me tell you about some of “the best,” as I experienced it. I was a student at Queens College in New York and had become the program director of the campus station, WQMC, which I helped to establish just two years earlier. Our offices and the station's tiny studio were located in the back of an old college building. To our right were the kids who put out the “alternative” campus newspaper, cleverly called The News Project. To our left (appropriately enough) was the headquarters of the campus chapter of the SDS (Students for a Democratic Society), a student activist group heavily involved in the anti-war movement. We all existed peacefully side by side. Looking back, I think we reflected a perfect mix of a new culture that was emerging. Meanwhile, FM radio was about to change. The FCC had passed a law mandating that owners of AM/FM combo stations needed to create separate programming on their two frequencies at least 50 percent of the day. Previously, most radio companies simply simulcasted their AM station on their FM band. In New York, the change began on July 1, 1966 on WOR- FM, sister station to the very staid WOR-AM. While the AM side continued with its old line mix of very polite chat shows, FM announced its presence with “Wild Thing” by the Troggs. In many of the large radio markets, similar changes were underway. Without a road map or a set of strict guidelines to determine how the programming would sound, some stations took the opportunity to experiment. There were fewer commercials at first, since the audience was clearly smaller than that of the existing AM stations. Concurrently, the music scene was changing with new sounds and bands. The album was emerging as its own art form, not just a collection of singles. Within a year, the Beatles' Sgt. Pepper's Lonely Hearts Club Band was released in June 1967, followed immediately by the "Summer of Love," and the quickly changing social mores allowed progressive rock radio to emerge as the FM alternative. 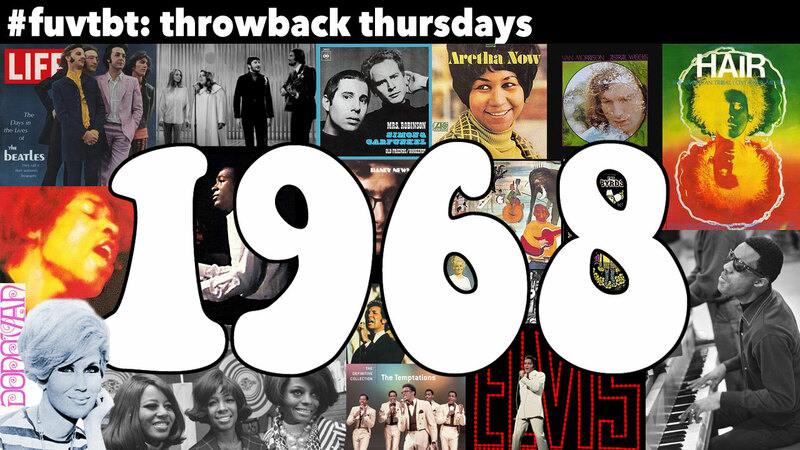 When WOR-FM switched formats to Top 40 in the fall of 1967, WNEW-FM seized the opportunity to establish itself as “the new groove” in Metromedia Stereo, beginning with a DJ named Rosko on Oct 30, 1967. By 1968, WNEW-FM had a complete line-up that included Scott Muni and Alison Steele, one of the few women playing music on the air. Other stations across the country were trying out their own versions of this new approach to rock radio. But hearing it in your car was not a simple thing. Most car radios were still equipped just for AM. If you wanted to sample the new rock formats that were blossoming, you had to hook up a makeshift connection that somehow could convert an unused spot on the AM dial into FM. You could do it yourself, and even though it was not that easy to tune in your new favorite stations, it was a “must have” among many of us. All of this was happening as I was just beginning to learn how to be a disc jockey and create my own style. I never imagined it would turn into a lifelong career, or even a paying job one day. I just knew I loved radio and I loved rock ‘n’ roll and now I could combine them. Some early favorite concert memories of those days included the Blues Project, the Lovin' Spoonful, and Phil Ochs. In April 1967, I saw the American debut of the Who and Cream, as part of an old fashioned Murray the K holiday show that also featured Wilson Pickett, Mitch Ryder and others. Once the Fillmore East opened in March 1968, the opportunities were limitless as an incredibly diverse collection of bands and artists would appear on a single bill. And I have a wonderful memory of a May 1968 afternoon and my first artist interview. It was with Richie Havens in his manager’s office on East 55th Street in Manhattan. My friend Howie and I had carried a big Wollensak tape recorder into the city to capture the event. On our way back to Fifth Avenue for the subway ride home, we passed a big crowd in front of the St. Regis Hotel. It turns out that John Lennon and Paul McCartney were staying there. They had come to New York together for a press conference at the Americana Hotel to announce the formation of their new record company, Apple. We saw a perfect opportunity to capture the scene and maybe talk with them as they emerged, since we already had a tape recorder and microphone in hand. Turns out that we waited in vain; they never came out. But together with the just completed Havens interview, I felt like I was suddenly, even for just a minute, a part of the rock ‘n’ roll world. I haven’t even touched on film, TV, and the rest the of incredible music of 1968. My Spotify list below is a good starting place to sample the sounds. As for television, check out the slightly subversive “The Smothers Brothers Comedy Hour” and why CBS ultimately cancelled it. Consider why the word “plastics” in director Mike Nichols' "The Graduate" still resonates as a snapshot of the times. Bob Dylan’s "All Along the Watchtower” was released on John Wesley Harding in late December 1967 and reinvented immediately in January 1968 by Jimi Hendrix. The Vietnam War hung over it all. While many were protesting, others were fighting and sacrificing in a struggle that was difficult to explain. For some it was a first entry into politics and movements like “Get Clean for Gene” for Eugene McCarthy, the only Democratic candidate who dared to challenge President Lyndon Johnson in the upcoming election. However what began as a valiant effort may have ended in a loss of innocence and idealism. Others were mobilized into action and many of their beliefs today were shaped during that period. It was “the best of times and the worst of times” — but what a time it was.